Sparkle and shine when you wear a pair of Kitty Katrina Camo Cat Ears! 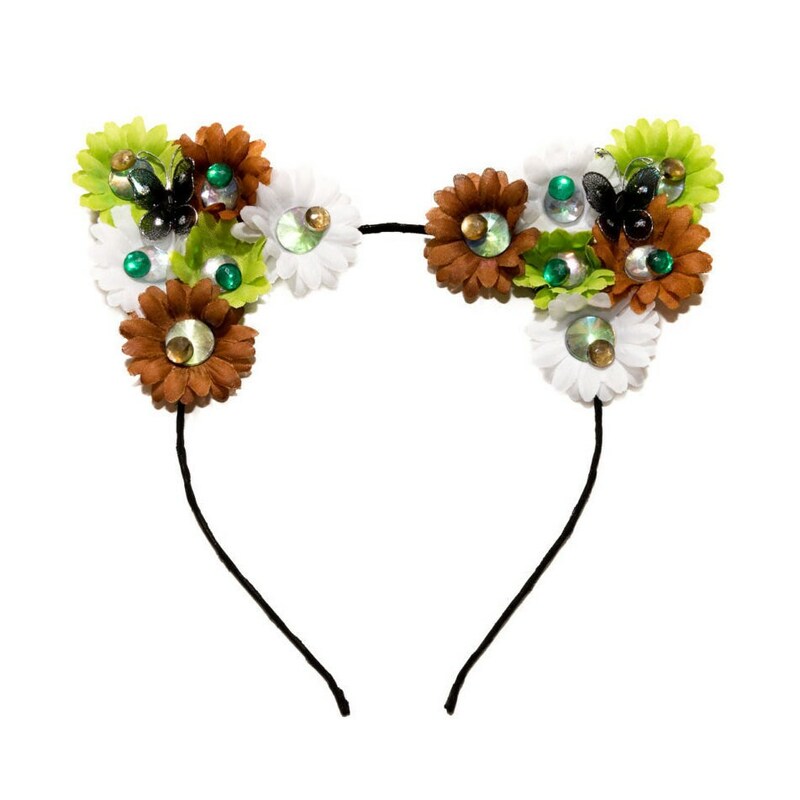 This headband features brown / white / green daisies with a variety of iridescent / green / brown rhinestone centers; two sparkling black butterflies; a black headband, and camouflage backs (see images). Product Details: 1 Headband is included in this purchase. This Headband fits most head sizes. Each daisy is roughly 1.3"-1.5" in diameter. 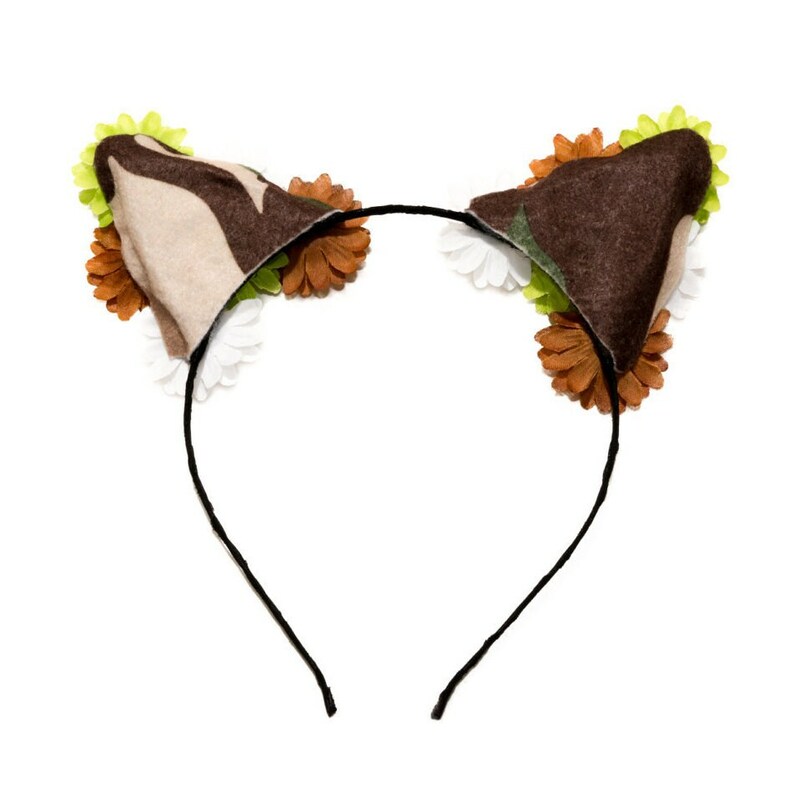 The exact camouflage layout for the ear backs will vary with each headband because the pieces are cut from a larger piece of fabric, which makes each headband unique.